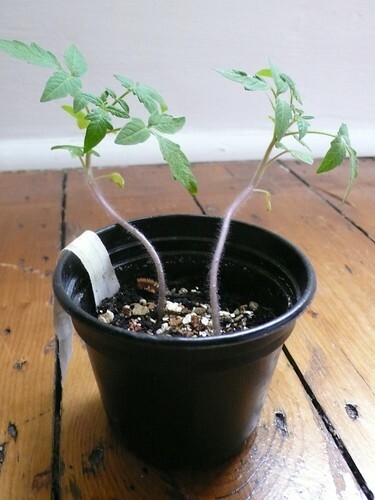 I’ve got two containers with 3 – 4 seeds in each of this type in a small black plastic pot. Sown from my Tomato 'Latah' Seeds. Try for a seed spacing of at approx. 2.60 feet (80.0 cm) and sow at a depth of around 0.78 inches (2.0 cm) if planning to sow direct. Latah normally grows to a max height of 3.90 feet (that's 1.20 metres metric) so ensure you have enough space in your garden for this plant. Your garden has partial sun light - try to position in a full sun location instead. 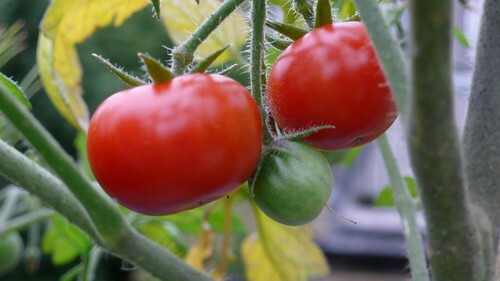 Your garden's USDA Hardiness Zone (8) is within the ideal range for Tomato 'Latah'. The recommended range is between Zone 3 and 14. A soil ph of between 5.0 and 6.0 is ideal for Tomato 'Latah' as it does best in acidic soil so test your soil acidity often. 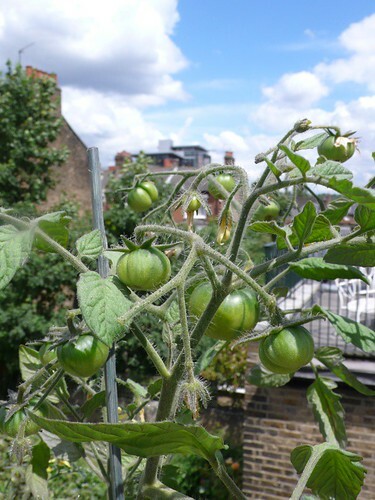 More information about Tomato 'Latah' is available in the Folia gardener's wiki. All Tomato 'Latah' Care Instructions have been kindly provided by our members. I can see buds forming! 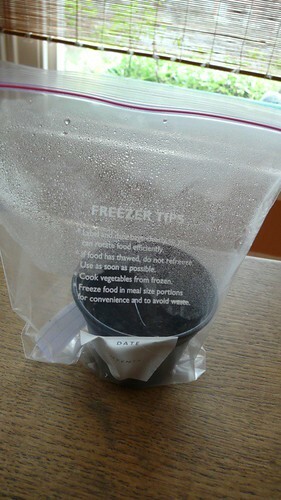 Hey, that zip lock bag looks like a good idea ! I agree…the zippie gives you more control over the humidity. Great idea! !